I do enjoy a good muffin now again, but I’m picky. I like a muffin to have great flavor, be moist, not too sweet, relatively healthy and memorable. That’s a lot to expect from a muffin. With this in mind, I decided to create a muffin using one of my favorite cereals, muesli. 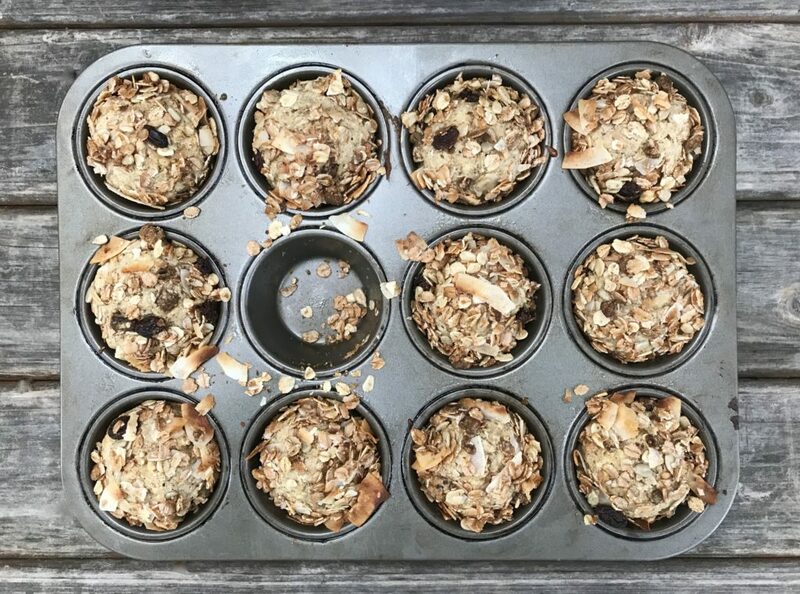 Bobs Red Mill has a truly fantastic muesli I recently discovered and it was perfect for my muffins. Any muesli can work in this recipe, but Bob’s is particularly good and has a great balance of flavors and textures which I love. 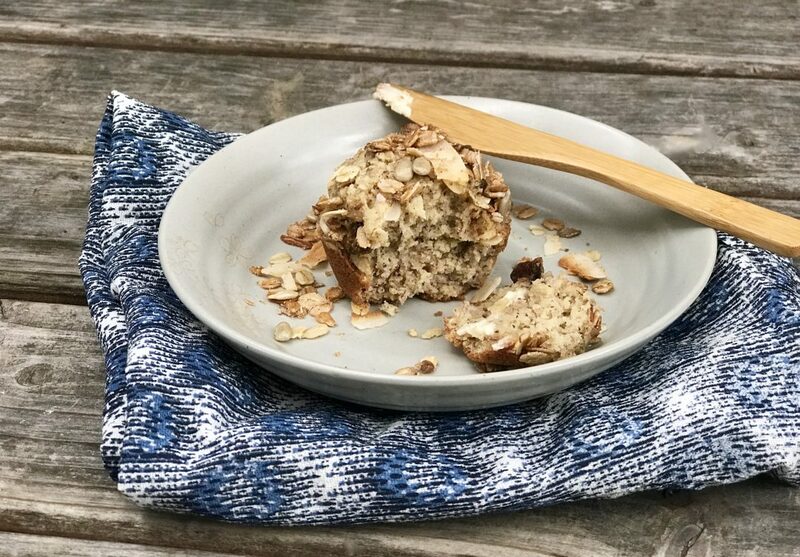 These are yummy banana muesli muffins and subtle enough for those who are not huge banana fans like my boys. 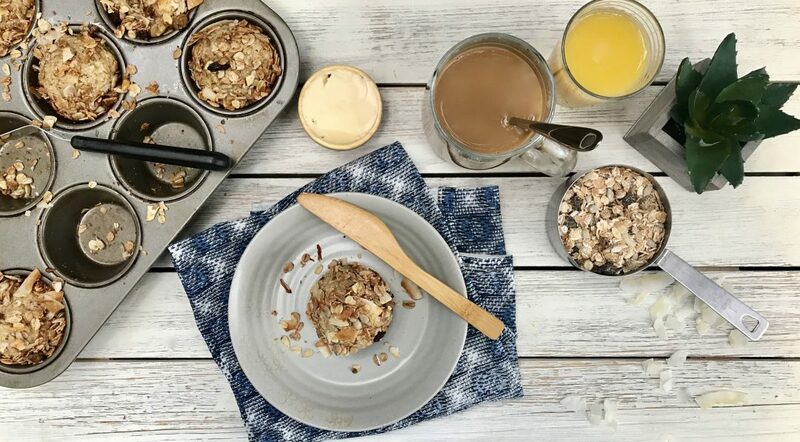 Muesli (pronounced Mews-le) is a fiber-and-protein rich breakfast based on raw, rolled oats, but today it has evolved into so much more. Loaded with nuts, seeds, fruits, vitamins and iron, this protein-rich cereal surpasses all other breakfast cereals around. Muesli is often compared to granola, but truly it should not be, it is so much more. Muesli is typically substantially lower in sugar with fewer calories and the high fiber component makes it a filling one. My love of muesli cannot be hidden I know, I rediscovered it when in Iceland and I have not turned back. 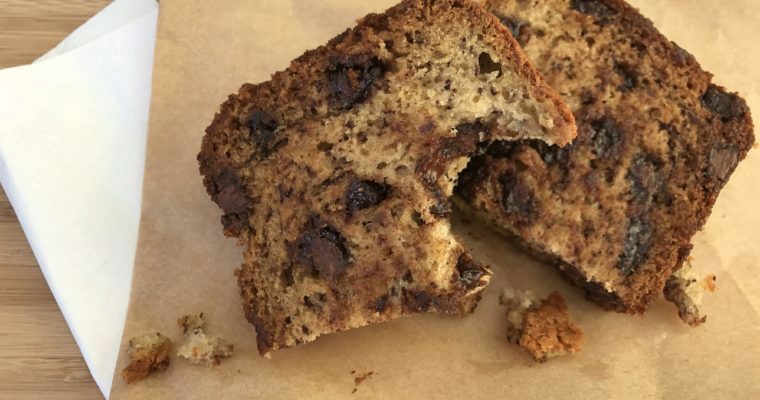 The muesli topping on these moist, low-sugar muffin elevates this tasty muffin to a whole other playing field—a memorable one and their kid-approved if I’m not conveyancing enough. 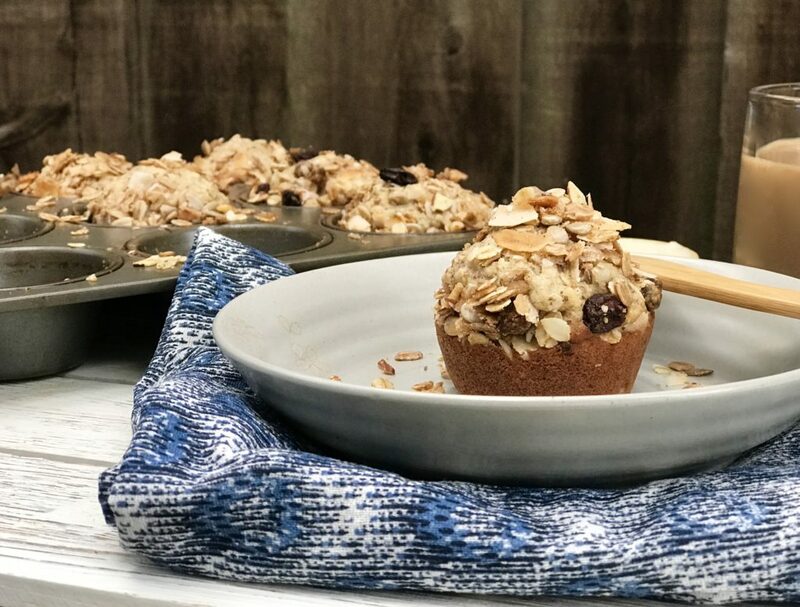 Whatever your New Years Eve plans may be, kick off 2018 with these tasty, guilt-free banana muesli muffins, trust me, you won’t regret it. Step 1 Preheat the oven to 350 degrees F. Lightly oil the muffin pan and set aside. Step 2 For the Topping: In a small mixing bowl add the muesli, brown sugar, coconut and cinnamon and mix well to incorporate. Add the melted coconut oil and mix. Set aside. Step 3 For the Muffins: In a medium bowl add the almond flour, all-purpose flour, baking soda and dash of salt. Mix well to incorporate. Set aside. 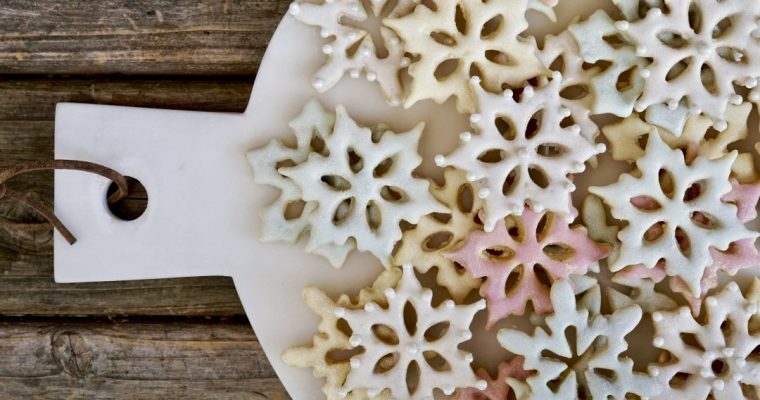 Step 4 In the bowl of a kitchen mixer, such as a KitchenAid fitted with a paddle attachment, add the brown sugar and melted coconut oil and mix on low. With the mixer running, add the eggs, mashed bananas, and vanilla extract. Step 5 With the mixer on low, add the flour-mixture and cashew milk in two additions. Mix until well incorporated. Step 6 Pour the muffin batter into the prepared baking pan. Using a tablespoon, generously scoop a heaping spoonful of the muesli topping onto each muffin. Step 7 Place the muffins on the middle rack in the oven and bake for 20-25 minutes until firm to the touch. Cool slightly before serving.